The Office Manager – CDT 2013 update . . . How to Video! American Association of Dental Office Managers – Skills Your Employees Need! 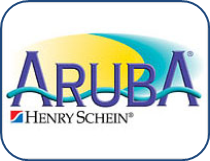 Aruba Inventory Management – Establishing a Supply Purchasing Budget”! 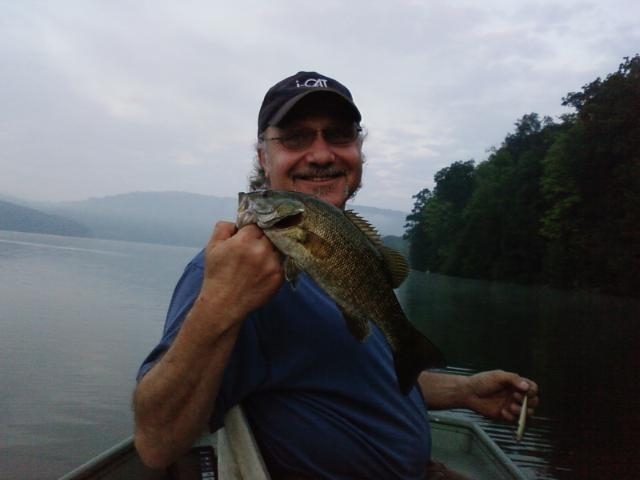 March & April Seminar Notice – Don’t Miss Dr. Ross Nash! This Week from the ADA – Code Committee offers public opportunity for input! Product Review – Dimanto – single-level polishing system for composites! 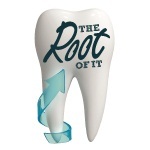 “The Root of It Commentary – Do You Know Who Your Business Partners Are? CDT 2013 update . . . how to video! This is probably one of the biggest CDT updates that the ADA has come out with in a long time. This video will help you and your office not only find the instructions to install the CDT 2013 update but how to apply it and update your system. I cannot take credit for the video however, the amazing team at Henry Schein put together a great learning tool for you. Enjoy! Join us for the 2013 Dentrix Business of Dentistry Conference August 8-10, 2013 at the Aria Resort and Casino in Las Vegas. For two days you will gain the knowledge and resources you can use to improve your practice. What skills will employees need to help their companies succeed in this year and beyond? If your team doesn’t have those skills, how can you help them get there? CEB’s 2013 Executive Guidance analyzed some 20,000 employees worldwide to pinpoint the challenges facing business teams today. Here’s the biggest challenge: While employers report they will need to squeeze 20 percent more productivity from employees to meet their business goals, employees say they’re already maxed out. More than two-thirds say their jobs have become more complex; 80 percent say their workload has increased; and 55 percent say they can’t handle the current level of stress much longer. This Week’s User’s Tip! – Budgeting Clinical Supplies! Budgeting your quarterly business expenses is tough enough without having to gage your clinical supply usage. It is true that on your accountants overall P&L statement clinical supplies only account for 6%-8% of your annual business investment so minimizing the time spent is more profitable than worrying about $1.00 on a box of cotton rolls. Working with a clinical budget and adjusting it based on production will dramatically enhance your bottom line. When coupled with JIT (just-in-time) inventory ordering system, the time and money saved on this non-revenue generating necessity can be re-invested into profitable production. Go to the main menu bar and click on “file” then click on “reports”. When the report drop down menu appears, click on “monthly detail report”. When the detail report menu opens, chose the parameters (years) and click on the PDF button. Unfortunately, the report will only consider items purchased from Henry Schein. However, with a privileges discount plan your costs can be locked in and there are very few, if any, dental distributors that carry everything with a consistent pricing/discount structure. Together with next day delivery facilitating a JIT (just-in-time) inventory, budgets and carrying costs can be contained. 1. March Session on OSA Dental Diagnosis & Fabricating Appliances! This session has limited seating. The session is 3 hours long and covers all aspects of incorporating a total health program into your dental practice with a focus on Dental Sleep Medicine, Diagnosis, Treatment and Medical Insurance Reimbursement. 2. April 17th – Meet Dr. Ross Nash! In today’s economic climate we all know that cosmetic dentistry is down. The Componeer system and technique for creating same day veneers can reduce the patient’s cost by as much as 50% with some of the cost possibly being covered by the patient’s dental insurance (codes will be provided). Dr. Nash will take you through the process and explain in detail why this unique and innovative process is more advanced and out performs the old “Lumeneer Style” process and puts the dentist in control. Code Maintenance Committee offers public opportunity for input! The Code Maintenance Committee is offering dentists, third-party payers, dental specialty organizations or any other member of the public the chance to share their passion on changes to the CDT Code. The CMC is holding a three-day meeting Feb. 28-March 2 at ADA Headquarters to review 90 change requests. The first day will be an open session for public discussion and comment on the requests, a mix of additions, revisions and deletions to the Code on Dental Procedures and Nomenclature. On March 1-2, CMC members will review and discuss the comments and change requests and vote to accept or decline each one. Observers are welcome to these proceedings. The Dimanto one-step multi-use polishing system is designed for pre-polishing and high-gloss finish of composites, including those of the latest generation of hard highly filled materials. Dimanto ist the new, single-level polishing system for pre-polishing and high-gloss polishing of composites, including those of the latest generation with a particularly hard surface. Dimanto is utilised without polishing paste. As Dimanto is a single-level system, there is no need to change polishers when proceeding from the pre-polishing to the high-gloss polishing stage, as would be the case when using multi-level polishing systems. The diamond-interspersed silicone polishers are manufactured to very high quality standards and are autoclavable. This makes them durable and suitable for repeated use. Dimanto polishers are available in five different shapes: lens, small and large tips, small and large cups. A precisely manufactured metal shaft allows for easy insertion into the contra-angle handpiece and permits the polisher to run smoothly and without vibration. The Henry Schein Outlet Store:……………………. Precision, innovation and unparalleled performance. Piezotome, I-surge and Newtron in one unit. The ultrasonic evolution continues…1st EVER Autoclavable LED Ultrasonic Handpiece! 1st EVER “Air-Active” feature for cleaning dentinal debris (no air-water syringe required). Two 300mL tanks which are easy to refill, even during a procedure. Newtron technology means power, control and reliability. Do You Know Who Your Business Partners Are? As a member of the Henry Schein Business Development Team the word “sales” has taken on a new perspective and meaning. The truth is that the success of a company’s client base will ultimately drive the success of the company. Your practice will grow by improving the overall health of your patient base and providing “value added” health related services such as nutrition and health screening initiatives such as hypertension, obstructive sleep apnea, salivary DNA testing, etc. Business and practice management are very closely related but also very different. This is something that the average “dental salesperson” does not understand even though it is the most important factor in a business relationship. When owning/running a business it is necessary to have “business partners” that understands that their success directly depends on yours, and if you look at everyone as an adversary then you will be in the fight alone. If you look at your supply vendors and labs as just places to obtain goods and services, again you’re in the fight alone. I once attended a seminar given by a financial firm on dental practice management. One of the attendees asked how a particular goal could be accomplished if lab bills kept increasing. The “experts” advice was to find a cheaper lab! WRONG – WRONG – WRONG …. The correct answer should have been; what additional values are you getting from your lab? Do your cases come back when promised? Does the lab offer consultation on cosmetic and advanced restorative case? All those service improve your production and lower your overall costs. A number of year’s back 3M approached my company referring to me as a supply chain partner. That’s when the concept wormed its way into my thick skull. 3M understood that if they could help my organization be more profitable, it would be in my best interest to promote their product line. It is important that the services your partner offers are quality, and if they are you have a winning situation for everyone involved including your customer (patient). Try asking your “vendor partners” what they can offer in value added service and way that against your overall cost of doing business. If you should have any questions or concerns please feel free to contact me at any time @ 201-321-7494 or cliff.marsh@henryschein.com. Final Thoughts for a Better World from 3 Very Wise Men…. We are Cliff’s Notes and we approved this message!